This course will be taught in two parts, each part consisting of 13, four-hour sessions ( daytime ), or three-hour sessions ( evening time ). 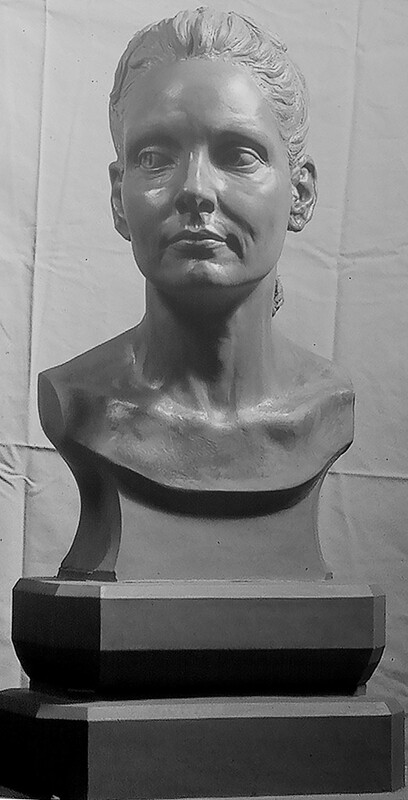 The same pose, and intended Life Model, or Antique Sculpture Plaster Portrait Bust each time for the duration. 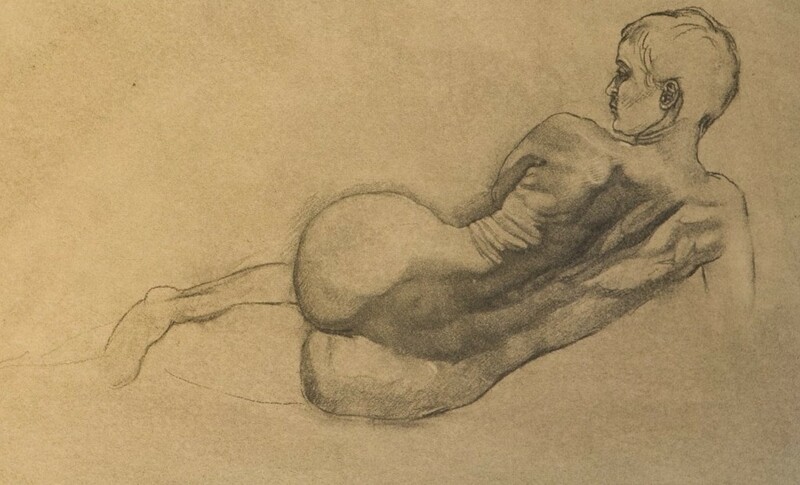 There will be a one-half hour to one hour ( day ), or one-half hour ( night ) review for the class after the life model each session, making a total of four hours – ( day ), or three hours – ( night ). Additional optional limited workshop time is available without life model, to work on the sculpture from a demonstration sculpture made during the life model session by the instructor. Limited optional workshop time is coordinated as a specific time slot each week depending on the class, and availability during a particular week. Limited optional workshop time is included in the class price, but attendance is not required. Rescheduling the limited optional workshop is not possible after the timeslot is coordinated with the students for the semester. The portrait will be studied in greater depth than in the maquette course. The first half of the course will cover bone structure alignments, masses, and proportion. The second half will focus on the surface of masses and surface anatomy. Both halves of the course will cover geometric patterning of shapes, commensurate planes, and planar rhythms. An armature appropriate to the above-mentioned class constructed prior to the first paid classes, as a free benefit for those that have paid for the 13-week session, is instructed and built in the Parker Studio Atelier. Each student supplies materials for the construction of the portrait bust sculpture armature. Two cut to proper size, glued, and tacked together 22 x 22 inch A/C Exterior 3/4 plywood fir boards, (nail tacks should be counter sunk on the head side, and the point ends should not stick through the opposite plywood board surface). Next, the glue now dry between the tacked together plywood boards, the board should have three to five coats of polyurethane painted on all edges, also both front, and back main sides, which should be completely dry to the touch, and feel like the plywood is coated in thick plastic. After the completion of the preparation of the plywood boards, the board is brought to the free armature building class with plumbing pipe supplies, aluminum alloy sculpture wire rolls, flat head machine bolts, etc…, as detailed in the requested supply list. Additionally, Sculpture tools, and Chavant NSP Non-Sulfur, Soft Brown Plasteline are supplied by each student for their sculpture project, also detailed in the requested supply list.